With the winter finally being over – at least officially – our automotive pets surely can’t wait to be properly cleaned, to have their fluids checked and replenished and other major systems being examined by your trusted mechanic. However, the first thing that comes to mind to most drivers when the seasons change replacing seasonal tires. Given the size of the investment high-quality tires can be, it’s important to store tires the right way after taking them off to make sure they don’t lose their characteristics and thus prolong their lifespan. 1) During normal use, tires accumulate brake dust, dirt, and road grime, all of which can cause tire damage if it sits on your tires for a long time. That’s why before storing them you should grab soap, water and a tire brush to clean your tires. If the tires are still mounted on the rims, it’s also a good time to clean the wheels (use an approved wheel cleaner). Wipe the tires and wheels down with a towel, leave them to dry completely and don’t apply any type of tire dressing. 2) After cleaning, place each tire in its own large, airtight plastic bag (lawn and leaf bags work well here) for storing. Avoid any moisture in the bag and remove as much air as possible (you can draw out air with a vacuum cleaner). Close the bag tightly with tape to create a personal space for each tire in order to reduce oil evaporation from the tire compounds. Avoid using tire totes as they don’t necessarily protect tires from the atmosphere (even though they make tires easier to move around. 3) Keep tires out of direct sunlight. The sun’s ultraviolet rays and heat are detrimental to rubber since they tend to soak up a lot of solar heat because they are black. They can easily heat up to over 50°C! 4) Place the tires in a cool, dry location. A basement or climate-controlled garage or workshop work best while a standard garage, shed or attic often see a wide range of hot and cold temperatures as well as precipitation and humidity. Also, make sure to store your tires away from things like electric motors, furnaces, switches and sump pumps because they are sources of ozone. 5) If your tires are NOT mounted on rims, the best way to store them is standing upright – it puts less stress on the tires. If you have to stack your tires, try not to stack them too high to avoid them toppling over and damaging themselves. However, if your tires are mounted on the rims, you should store them stacked, not upright. Also, hanging them from hooks is a great storage option. But unmounted tires should never be hung – the stress can cause distortion and damage. 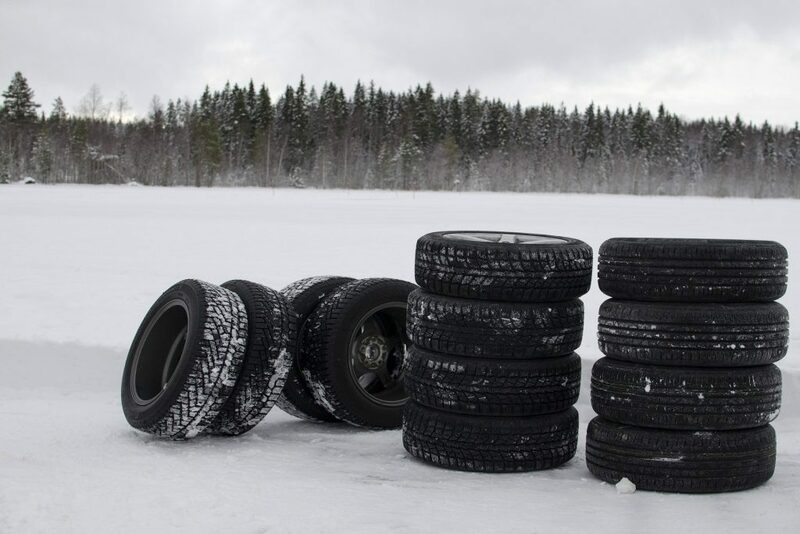 6) If you don’t store your tires in individual bags, and instead stack them, make sure to stack them “white to white” and “black to black” to prevent staining of the white rubber as white and black rubber are compounded differently. 7) If you can, avoid letting a vehicle sit on tires for extended periods of time as the constant weight can cause them damage. Make sure to move the vehicle or take it out for a short drive every once in a while – you’ll relieve the stress on the tire and help keep the tire’s rubber compounds lubricated and supple. Finally, for whatever type of vehicle maintenance come to CRS Automotive. We are expecting you in our repair shops in Hamilton and Oakville!